Senator Ifeanyi Araraume who who recently dumped the All Progressive Congress (APC) for APGA, has cleared the 2018 governorship primary of the All Progressives Grand Alliance (APGA). 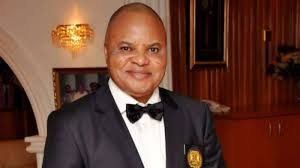 Araraume who represented Imo North in the Red Chambers between 1999 and 2007 was announced as the APGA governorship candidate for Imo state on Sunday night in Owerri, the Imo state capital. Announcing the result, the returning officer, Barr. Mrs Eberechukwu Ejikeme said all the governorship aspirants participated in the exercise. Ejikeme announced the result of the aspirants who took part in the election as; Senator Ifeanyi Godwin Araraume got 583 votes, Chief Okey Eze 61 votes, Chief Frank Nneji got 48 votes, Daniel Kanu 90 votes, Chief Ike C Ibe 15 votes, Chief Ikedi Ohakim got 27 votes, Humphrey Anunudu 13 votes while Chief Stanley Amuchie got 14 votes. Others included Chief Uche Onyeagocha 43 votes, Chief Stone Nwoga 27 votes, Dr. Sam Amadi 11 votes, Chief Nick Opara Ndudu 14 votes and Barr. Ziggy Azike also got 14 votes. She however, declared Senator Ifeanyi Araraume winner, having scored the highest number of votes cast by the delegates drawn from the 27 local governments area of Imo State. She expressed gratitude to all stakeholders who contributed to the success of the electoral process even as she boasted that the exercise was hitch free and transparent. The primary election which lasted till about 11pm held at the Kanu Nwankwo stadium in Owerri.